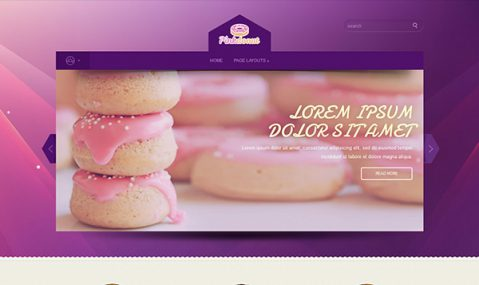 What can be better than a vivid, appetizing and real jam theme for building up an alluring website for a confectionery, summer cafe or home pastry? Convenient arrangement of web elements makes PinkDonut rather selling and promotional in comparison to similar premium WordPress themes. Besides, hefty and extensive PinkDonut slider will let you dispose all the necessary information from biscuits, croissants and spice cakes to the invigorating lunch menus. Download PinkDonut theme for free and fill up your food business with effective advertising!